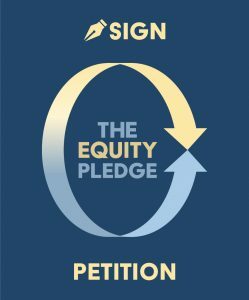 Some of the national organizations that signed the letter include the Alpha Epsilon Pi fraternity, Academic Engagement Network (AEN), B’nai B’rith International, American Zionist Movement (AZM), Association of Reform Zionists of America (ARZA), Mercaz USA, Simon Wiesenthal Center, American Council of Trustees and Alumni (ACTA), Jerusalem U, CUFI on Campus, Hasbara Fellowships, Iranian American Jewish Federation, National Council of Young Israel, NCSY and Rabbinical Alliance of America, as well as numerous student and faculty groups. Today’s action launches a larger effort to educate university leaders and whole campus communities about the very real harms the academic boycott of Israel will cause students and faculty on American campuses if it is permitted to be implemented, as faculty are now trying to do. 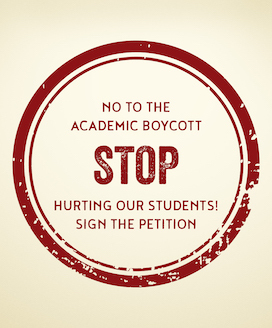 Each week over the next month, AMCHA will release new information about the direct harms of the boycott, including the results of a student survey and a comprehensive study about how the academic boycott of Israel is being implemented in classrooms across the country. AMCHA will also launch a multi-pronged grassroots letter-writing campaign and a university stakeholder petition, as well as a social media video blitz exposing faculty strategies. AMCHA monitors more than 400 college campuses across the U.S. for anti-Semitic activity. It is the only organization that documents incidents in real time on its website for the public. AMCHA recorded 469 known anti-Semitic incidents in 2015, 639 in 2016, 652 in 2017, and 541 so far in 2018. Its daily Anti-Semitism Tracker, organized by state and university, can be viewed here. AMCHA Initiative is a non-partisan, non-profit organization dedicated to combating anti-Semitism at colleges and universities in the United States.